Recently, there are many movies that you can watch on television, at the cinema or on the Internet. Following this, you might see many Funny Quotes That Might Make You laugh and feel comfortable beside the stress of daily life. This page shows collection of more than 20 Funny Movie Quotes. Hope you will like them! – I do that quite a lot, yet people are always surprised. Oh no, she was churning butter on the wing, she is out there right now. I make up a new dance move. It’s called the “move on with your life”. No, venti is twenty. Large is large. In face, tall is large and grande is Spanish for large. 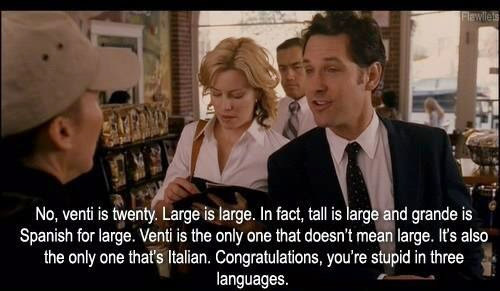 Venti is the only one that doesn’t mean large. It’s also the only one that’s Italian. Congratulation, you’re stupid in three languages. 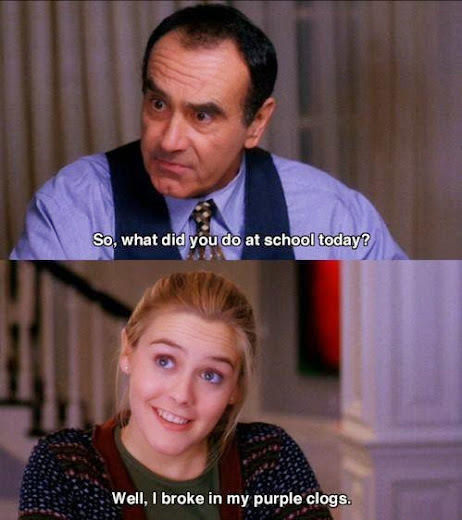 – So, what did you do at school today? – Well. I broke in my purple clogs. I will miss your lips and everything attached to them. – You know what I used to eat for breakfast? Cocaine. You know what I used to eat for lunch? Cocaine. – What’s you have for dinner? 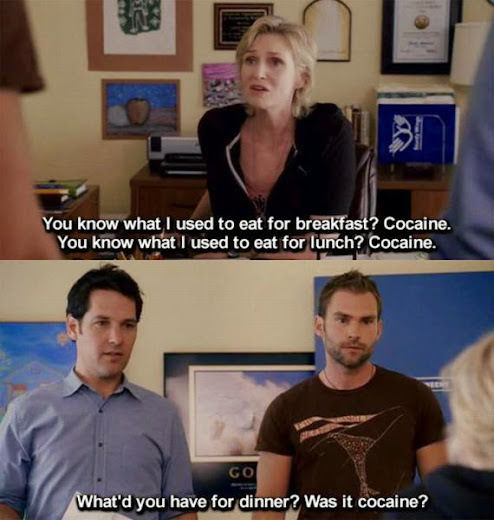 Was it cocaine? 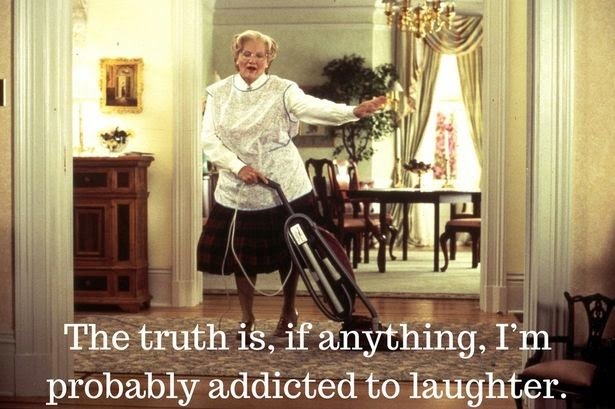 The truth is, if anything, I’m probably addicted to laughter. – Remember in middle school when me and you worshipped the devil for like two weeks? 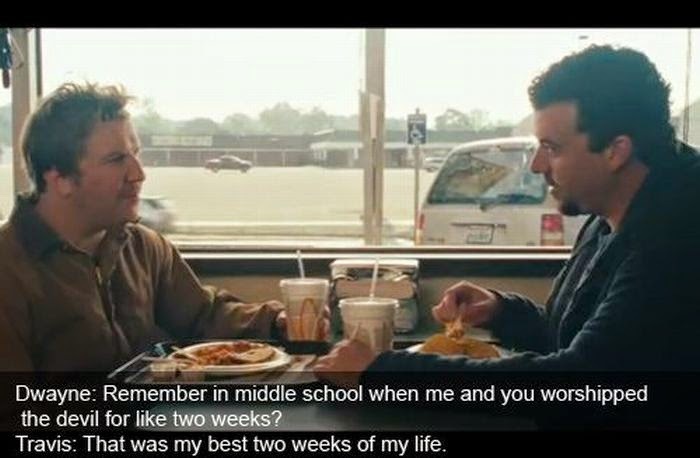 – That was my best two weeks of my life. Life is a tragedy when seen in close-up. but a comedy in long-shot. Hope these above quotes will be useful to Help You Relax and Feel Funny in daily life. You can see more Movie Quotes on SayingImages.